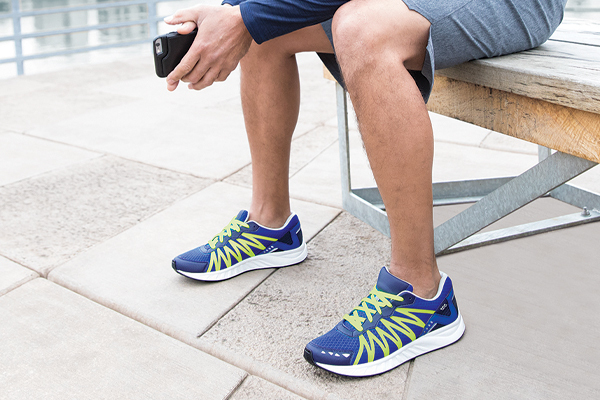 Everyday comfort insole that supports the arch, cradles the heel, and helps eliminate overall foot pain. Made with Everbounce, a material used to enhance shock absorption. The SAS Step Plus footbed contains an extra soft midsection designed to provide additional support to the metatarsal area as well as a moisture control system which helps wick away moisture. It is also antibacterial and anti-fungal. These footbeds come in 2 size widths (N - M) and (W - WW). (N -M) : fits either a Narrow or Medium shoe. (W - WW) : fits either a Wide or a Double Wide shoe. Anti-friction fabric wicks moisture away from the foot, reducing heat and shear to prevent blisters. Vy-Gel performance grade elastomer pads provide shock absorption across the forefoot and heel strike, to protect against fasciitis (heel pain). Contoured polyurethane base features arch support and heel cup. Metatarsal rise helps relieve pain in the ball of the foot, as well as pain from certain medical conditions. A polyurethane base layer provides cushioning that will never flatten out over time or lose its comfort.